Heads up! 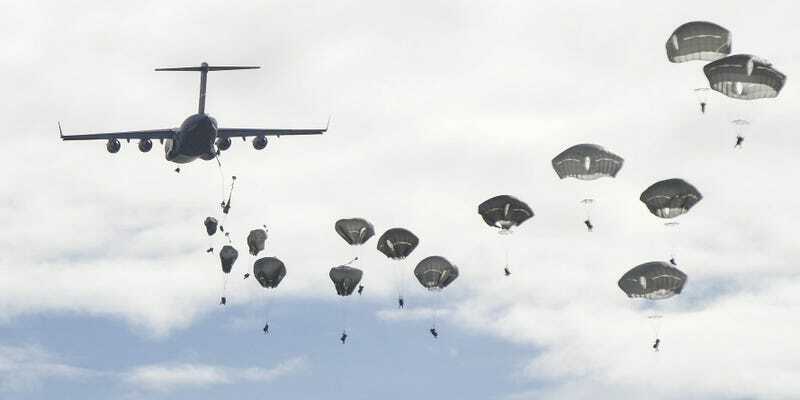 If you were anywhere near San Gregorio in Spain on November 4th, you could have seen a slew of American paratroopers emerge from the back of a C-17 Globemaster III and drift serenely down to Earth. The show was in fact part of a demonstration being carried out in Europe, know as Trident Juncture exercise. It’s the largest NATO exercise to be carried in the past 20 years.